As the New Year of 2019 gets underway we’ve got an exciting announcement for our loyal Dock Flock! This partnership may not come as a surprise if you’ve recently used our app marketplace, but we want to make it public…Dock is officially partnered with Experty.io! Experty is a marketplace for experts and users to connect. There are two types of accounts, one for experts offering their services and one for those needing advice from a qualified, vetted professional. The idea is to save time by offering on-demand calls for questions in a specific field. Rather than searching the web, pay the expert’s set rate and get instant, high quality answers. 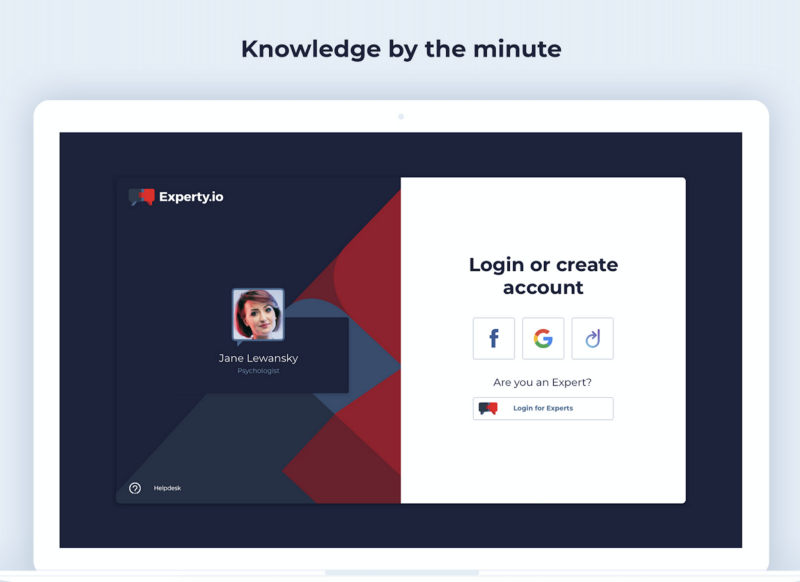 Put your expertise to use, create an Experty account today! At Dock we are all about promoting high quality, user controlled data. The process to obtain expert status on Experty’s platform is top notch, only those who are able to prove their abilities can be listed as experts. By partnering with Experty, we will be adding another source for verified data, allowing our users to strengthen their Dock profiles. We also want to point out that Experty and Dock are in a select group of post-ICO projects that actually have a working product and active users. With Dock’s seamless login solution helping to combine user bases, both partners stand to benefit significantly. Authentication: Dock will serve as a login option when signing in or creating a new Experty account. Import relevant data: Dock users can instantly import work history, skills, & experience to Experty (where it can then be verified). The integration is live! Head over to our app marketplace to create an Experty profile with just a few clicks!